1 You'll fall in love with this beautiful and spacious suite. It has everything you need for a nights stay or a week long vacation! The Old World Modern Suite has 2 complete enclosed bedrooms with king size beds. 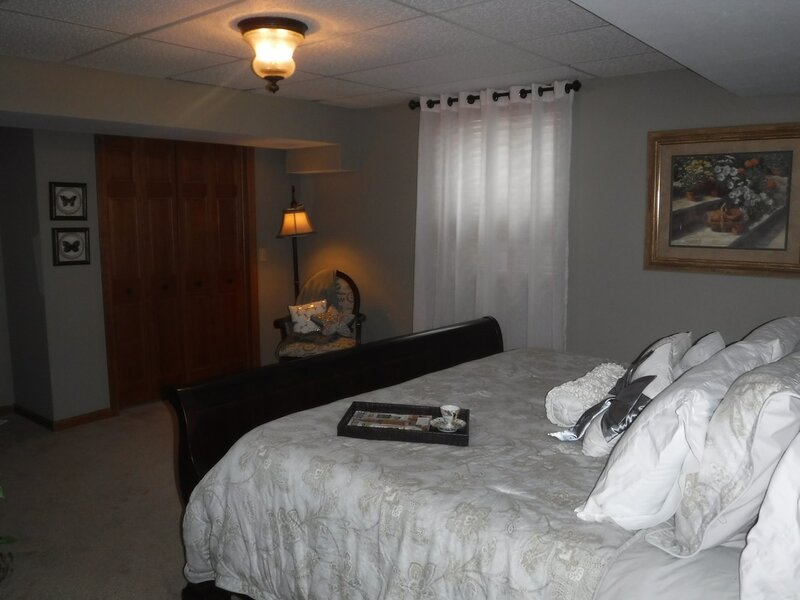 The private bedrooms features a flat screen television with satellite access. There is a full kitchen and dining room area, private bath and full size sitting area which features a gas fireplace. Each additional person (13+) is $30. Children from ages 8-12 is an additional $15. Children 7 and younger are free.